ETC Grass Machinery have a wide range of high quality new & used triple cylinder mowers, ride on mowers and commercial mowers for sale. 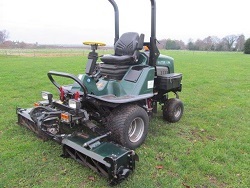 We supply a wide range of triple mowers for following markets including;- Contractor, Sports Fields, Cricket Clubs, Football Pitches, Rugby Clubs and Golf Courses. 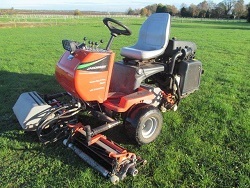 The staff at ETC Grass Machinery have years experience in supplying and maintaining second hand triple ride on mowers and a variety of different types of grass machinery. 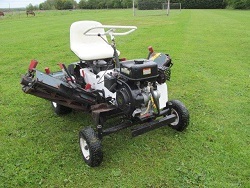 We will be happy to help you in deciding which type of ride on mower for your specific needs.